Gov. Rick Perry announced the appointment of Louis Edward Sturns of Fort Worth to the Texas Racing Commission for a term to expire on February 1, 2007. Sturns is an attorney with Mallory & Sturns and board member of the Trinity River Authority, appointed by Gov. Perry. He served as a judge of a district court in Tarrant County and the Court of Criminal Appeals. Sturns previously served on the Texas Ethics Commission. 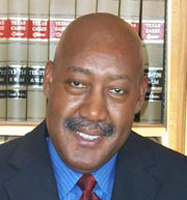 He is a member of the State Bar of Texas, member and former president of the Tarrant County Bar Association, and a member and former president of the Black Chamber of Commerce in Fort Worth. A graduate of Wichita State University in Wichita, Kansas, Sturns received a law degree from Kansas University Law School. He served in the U.S. Army for three years and received the Army Commendation Medal. He is a Deacon at the Community Christian Church in Fort Worth. Sturns received a bachelor’s degree from Wichita State University and a law degree from Kansas University Law School. This appointment is subject to senate confirmation, which is tentatively scheduled for Monday, February 14. Mr. Sturns will take the place of Comer Cottrell, who has been unable to attend commission events due to health problems.